If you’re like me, one of yours goals for the season is to finally dig into those books that’ve been piling up in your to-read list. If you’re still looking to build up that list, though, look no further– I’ve scoured my Goodreads to bring you my top ten reads that would make a grade addition to any summer. 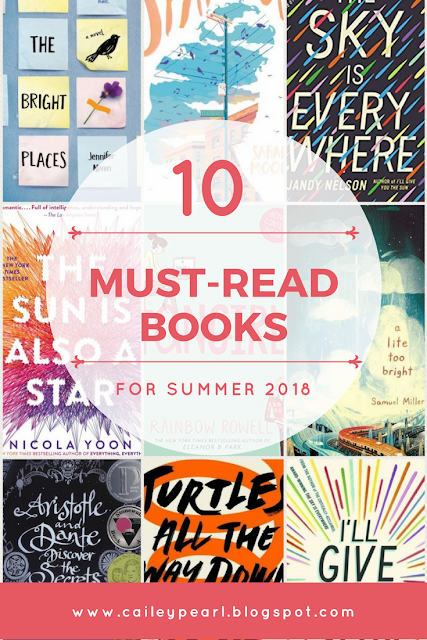 Whether you’re planning on curling up in bed or lounging out at the beach, these books are sure to satisfy all your reading needs! These are just a few of the adjectives that can even come close to conveying the masterpiece that is Aristotle and Dante. It’s a book of the power of friendship, the beauty of family, and the exploration of one’s identity. Sáenz’s seamless prose combined with his incredible characterization will definitely leave your heart bursting into pieces by the end of the story. You know those books where, once you reach the end, you remain sitting and staring in complete awe for the minutes to come? Just released on May 8th, Miller’s A Lite to Bright is bound to be one of the best novels of the year. It follows teenager Arthur Louis Pullman III as he embarks on a cross-country train trip in attempts to finally uncover the mystery of where his grandfather went during the last five days of his life, discovering secrets about himself along the way. Every aspect of this novel is spectacular, whether it be the unpredictable and bring-you-to-the-edge-of-your-seat plot, the relatable characters, or the refreshing take on complex themes such as loss and identity. I might be a little biased on this one, considering John Green could publish his grocery list and I would still be in love with it. But in all seriousness, Turtles All the Way Down is an extraordinary exploration of mental illness, friendship, and so much more that deserves a place on everyone’s bookshelf. You’ve most likely heard of this one before. But if you’re like me and have passed it by year after year without picking it up, please- pick it up. Like Aristotle and Dante, this book will leave your heart bursting into pieces as you follow the sensitive and observant ‘wallflower’ Charlie through his transition from adolescence to adulthood. Even after the book ends, Charlie and his story will forever remain a piece of your heart. Sparrow is a character who will resonate with many people- myself included. Caught up in her social anxiety and shyness, 14-year-old Sparrow finds escape from the stress of middle school in an unusual way- one that lands her in therapy as it is confused as meaning something other than what she intends. From here, Moon takes the reader on a heart-wrenching and inspiring journey as Sparrow learns little by little how to deal with her reality, forming incredible relationships along the way. If you’re looking for an adorable, romantic YA book, this is the one for you. Set over the course of 12 hours, the novel allows readers to embark on an adventure with Natasha and Daniel as they fall for each other just hours before Natasha is supposed to be deported to Jamaica. With just the right balance between cuteness and poignant reflections, this story is sure to leave you smiling. Similar to Aristotle and Dante and The Perks of Being a Wallflower, this novel will leave you breathless over its beautiful characters and poetic prose. Twin siblings Noah and Jude were once inseparable, but something happened that changed their relationship drastically over the past three years. Told in alternating perspectives - with Noah narrating the before and Jude narrating the after - I’ll Give You the Sun is a heart-warming exploration of identity, coming of age, grief, art, and most importantly, love. Violet Markey and Theodore Finch are an unlikely pair, but when their lives collide on the ledge of the bell tower at school, they soon learn that they have more in common than once thought. This story about “a girl who learns to live from a boy who intends to die” is sure to take you through an emotional rollercoaster as Niven uncovers the impact of mental illness and grief in teenagers’ lives. The relationship that develops between Finch and Violet is so real and heartwarming, and will leave you with a large case of the feels for days to come. Published four years before I’ll Give You the Sun, Nelson’s debut novel does not disappoint in giving the same beautiful characters and unique, poetic prose. After her sister’s unexpected death, Lennie finds herself torn between two guys- one that offers a connection to her past and one that gives her an escape to the future. The latter- Joe Fontaine- is bound to leave you swooning with his burst of life, charm, and genuine desire to make Lennie happy. All the characters in this novel are so real and relatable, making it a great choice for a summer read. Rainbow Rowell is right up there with John Green in that she could publish her grocery list and I would be in love. All her novels are just so cute and well-written, and Fangirl is no exception. Cath is a total introvert, bookwork, and fanfiction fanatic. She and her twin sister, Wren, have spent their childhoods immersed in the fictional world of Simon Snow, but when the two head off to college, things begin to change. Wren, always being more extroverted and bold than Cath, is ready to embark on a new adventure and embrace life outside of Simon Snow, while Cath remains adamant on staying within its comfort. But with the help of some new friends coupled with newfound independence, Cath begins to discover that there just might be life outside of her fictional worlds. There you have it! As always, if you have any questions, requests for future posts, or comments about your own summer reading plans, feel free to comment them down below. And if you liked this, be sure to subscribe down below so that you never miss a future post. Want to stay connected and never miss a future post? Sign up for my newsletter! This is the perfect post for me, as I am looking for new book recommendations! In a recent post of mine, I said reading more was a goal for me this summer as I used to be a voracious reader but haven't read for my own enjoyment in what feels like forever. I've only read two books from your list. I really loved Fangirl. Thank you for sharing!! Fangirl is definitely one of my favorites! Hope you try out and enjoy some of the books you haven't read yet. Thanks for reading! 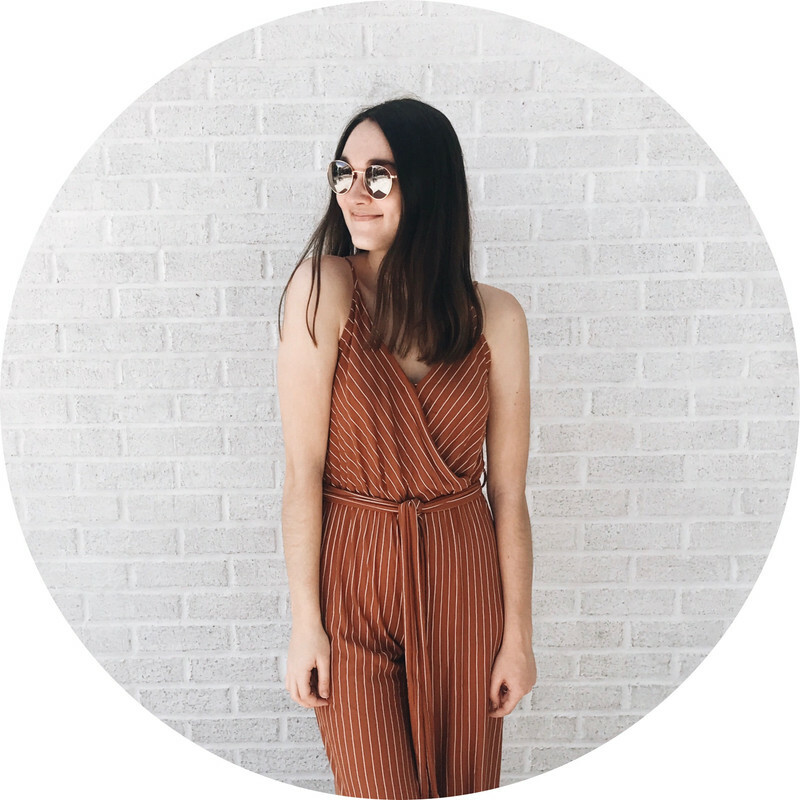 My name is Cailey - I'm a college student striving to live a happy, healthy, faith-based lifestyle filled with creativity and kindness. I'm glad you're here!